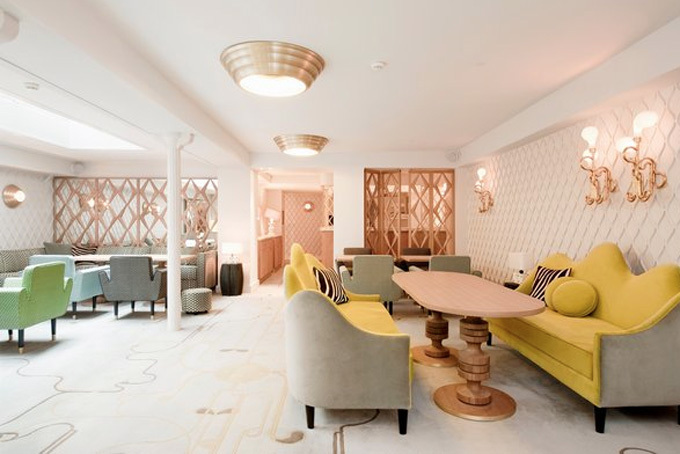 The 15-room Parisian boutique Hotel Thoumieux in the Left Bank is yet another cool, art-deco-ish creation by Thierry Costes and designer India Mahadavi. 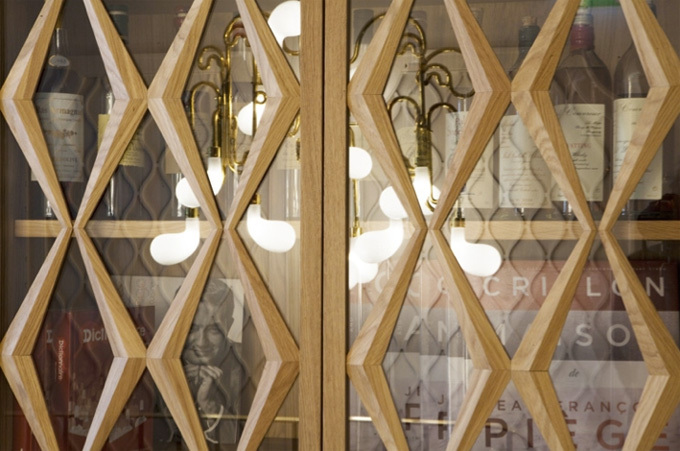 Located above the popular Thoumieux Brasserie, the hotel also offers its own significant culinary input in the form of the 20-seat dining room Jean-Francois Piege, where Chef Jean-Francois Piege is apparently creating gastronomic masterpieces. 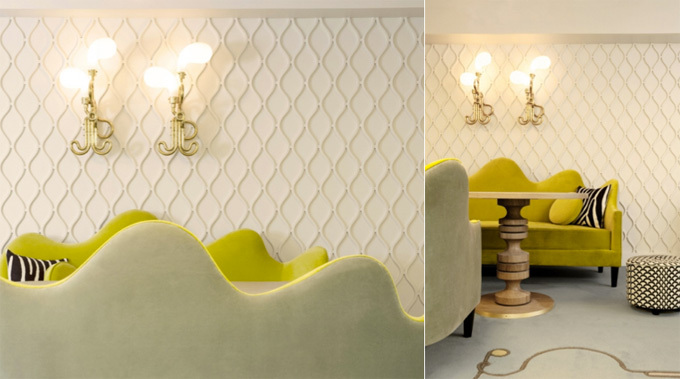 The dining room’s tongue-in-check décor, also by India Mahdavi, exudes a somewhat out-dated and perhaps even a bit under worldly glamor of a bygone-era – potted plants on doilies and elaborate wallpapers included. The pastelly furnishings, carpets and wall treatments bring out an aura of an elderly, once-quite-elegant aunt, who would not allow you to enter the room with a drippy chocolate ice cream cone.